Sauces & Dressings All Natural Homemade Ketchup-no nasties! I used to put ketchup on my chips and fish fingers as much as the next person. I never figured it was that bad for me. I mean it’s just tomatoes, right? Well no actually. Store-bought ketchup is full of sugar and lots of other nasties too. You wouldn’t dare ever put sugar on your chips so it just seems wrong. 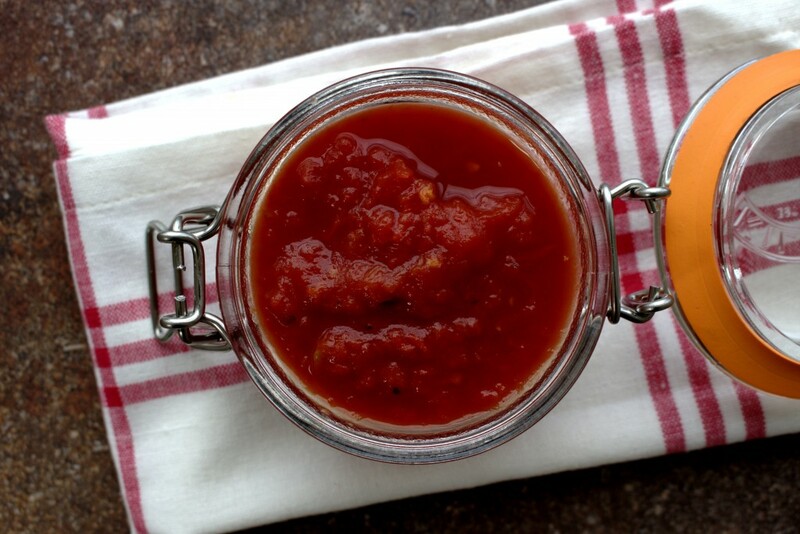 I came up with this super easy ketchup that is quick to make and goes perfect with my healthy fish fingers, butternut squash fries and homemade lamb burgers. It tastes more like a relish and nothing like the traditional unhealthy ketchup and I’ll take that as a compliment! 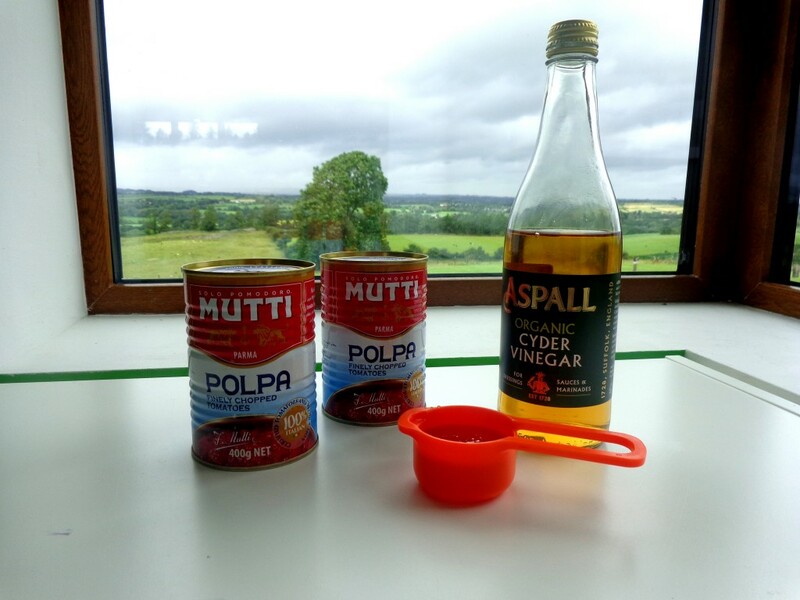 This recipes makes 3 cups of ketchup which is the exact amount you need to make my homemade refined sugar-free barbecue sauce. 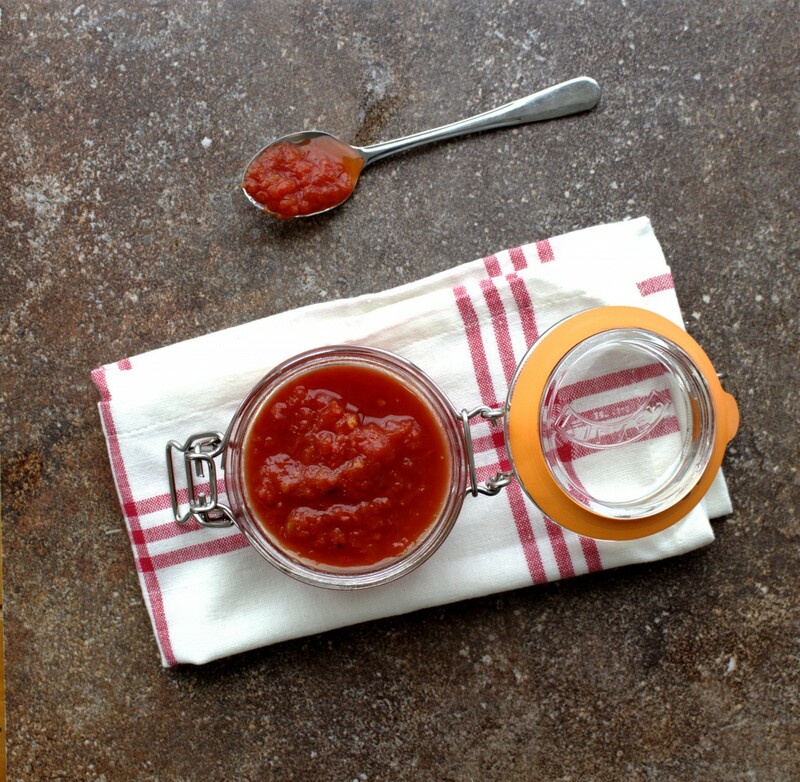 A quick, easy and healthy alternative to store-bought ketchup. Place all the ingredients in a saucepan on a medium heat. The Mutti canned tomatoes are already crushed. If you are using a different sugar-free brand, you may need to blitz them in a food processor first. Simmer for approximately 15 minutes until the sauce starts to thicken. Allow to cool completely before placing in sterilised jars. Can be stored in the fridge for up to two weeks or frozen in freezer-safe containers for longer.